If you live in Scotland and are struggling to repay your debts you may want to consider entering into a Trust Deed with your creditors. A Trust Deed is an alternative to bankruptcy and is a formal agreement between you and your creditors, where you agree to pay an affordable payment each month for a fixed period - usually 4 years - in exchange for your creditors agreeing to write off the balance outstanding at the end of the 4 years. A Trust Deed enables you to take control of your debts before they take control of you. Take action now, before your situation gets worse. 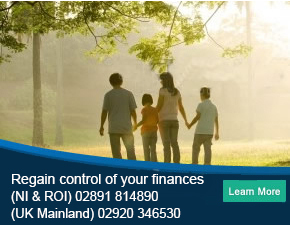 We can help you towards a debt free life, so call us now on (NI & ROI) 02891 814890 (UK Mainland) 02920 346530 or enquire online for free and confidential Trust Deed advice. If a Trust Deed is not suitable we will still be able to help you. Every day, the team at PJG Recovery deal with individuals and businesses in debt. We have the knowledge and expertise needed to provide you with reliable debt advice with a view to providing you with a debt solution tailored to your individual needs. We will ensure that you fully understand all of the debt solutions available to you allowing you to make an informed decision on your chosen solution. A Trust Deed is a voluntary agreement between you and your creditors where you agree to pay back some of the debt that you owe them over a fixed period of time – usually 4 years. The terms of the Trust Deed can be flexible but generally your creditors will expect the amount offered to be the same or better than what they would receive in the alternative Sequestration. A Trust Deed is not binding on your creditors unless they agree to its terms; when creditors do agree your Trust Deed becomes a Protected Trust Deed and is legally binding on all parties. Having a Trust Deed is often the preferable choice for dealing with a large amount of debt as all interest and charges are frozen. If you have a large number of creditors but a relatively small amount of debt then a Trust Deed can ensure that all of your creditors are bound into the agreement notwithstanding the objection of a few. Your Trustee will collect a sum of money from you each month and this money, added to any money realised from the disposal of assets, will be shared amongst your creditors in full settlement of their debts. It is also possible to offer your creditors a lump sum payment in settlement of your debts and this lump sum payment may have been raised by remortgaging property or by borrowing from family and/or friends. Assets such as household items required to meet the basic domestic needs of the family will not be sold and you are likely to be allowed to retain the use of other assets such as your car if needed for travelling to and from work etc. Do I need a Trust Deed? You may need a Trust Deed if you are struggling to pay your debts but have some spare money at the end of the month after paying all essential living costs. You may also need a Trust Deed if one of your creditors has taken bankruptcy proceedings against you and you want to avoid being made bankrupt. A Trust Deed will make payment of your debts more affordable and more manageable as the licensed Insolvency Practitioner engaged to deal with the Trust Deed will deal with your creditors on your behalf. Dealing with your debt will become stress free – no more demands from your creditors as the team at PJG Recovery will negotiate with creditors on your behalf and agree the repayment terms. There is very little for you to do. If you need help dealing with your debts then you are likely to need a Trust Deed or another debt solution – a phone call can establish whether a Trust Deed is the right solution for you. How do I enter into a Trust Deed? You need to speak to one of the insolvency experts at PJG Recovery who will review your situation and let you know if a Trust Deed is the most appropriate debt solution for you. We will discuss all available debt solutions with you and if a Trust Deed is appropriate we can agree the terms of the Trust Deed with you and, when signed, we can send it to your creditors and ask them whether they are prepared to accept your offer. Your Trust Deed needs to be prepared by a licensed Insolvency Practitioner who is experienced in dealing with these matters. PJG Recovery is a firm of licensed Insolvency Practitioners and its team comprises a large number of insolvency experts who have many years experience in dealing with Trust Deeds and alternative debt solutions. We understand your creditors’ requirements in terms of what they are likely to agree to and this substantially improves the chances of your Trust Deed becoming protected. Our advice is tailored to your situation and we balance your needs with the needs of your creditors. PJG Recovery has helped hundreds of people in the UK and Scotland take control of their debts. You too can take control before your debts take control of you. Call us now on 0808 168 9099 or enquire online. How much will it cost me to enter into a Trust Deed? The initial consultation and any work performed by PJG Recovery is free. When the Trust Deed is signed, and agreed by your creditors, the costs will be paid out of the money paid into the Trust Deed. All costs will be detailed in your Trust Deed so you will be aware of the costs before you sign the Trust Deed. Who will know about my Trust Deed? The Trustee and your creditors will know about your Trust Deed. In addition, anyone who is contacted by your Trustee for the purposes of dealing with your assets e.g. the provider of any savings plans/policies, any finance companies etc. It is also a requirement that your Trust Deed is registered in the Register of Insolvencies; a statutory register that holds information about the insolvency of individuals and businesses in Scotland. This is a public register and the registration is primarily for the benefit of creditors. There is no longer a requirement to advertise in the Edinburgh Gazette. How does my Trust Deed become protected? When you have signed your Trust Deed your Trustee will register it in the Register of Insolvencies and will send a copy to all of your creditors asking them to agree to its terms. Creditors have 5 weeks from the date that the Trust Deed is registered to object to your Trust Deed. Creditors may object if they think that the amount you are paying each month is too low or that the amount they are being requested to write-off is too high. Not all of your creditors have to agree to the Trust Deed for it to become protected – providing no more than one third in value or a majority of creditors object – then your Trust Deed will become protected. What happens if enough of my creditors object to my Trust Deed? If more than one third in value or a majority of creditors object to your Trust Deed then it will not become protected. You can continue with your Trust Deed, and your Trustee can continue to deal with your assets and collect your monthly contributions, but you will not have any protection from creditors who may still pursue you for the debts outstanding. PJG Recovery do not recommend that you remain in a Trust Deed that is not protected; it may be more appropriate to consider an alternative debt solution at that stage and that could include bankruptcy. If you decide to petition for bankruptcy then creditors cannot object to you taking this action. Can all of my debts be included in my Trust Deed? What factors influence the amount of money I will have to pay into my Trust Deed? Payments will be based on affordability. Your income and expenditure is assessed having regard to those items of expenditure which are essential for you/your family having regard to certain budgeting limits as laid down in a Common Financial Statement introduced in November 2013. The amount that you will have to pay will be based on the surplus at the end of the month and you will have to pay that amount for a fixed period – usually 48 months. What will happen if I become unable to make payments? If a valid reason cannot be proved e.g. loss of employment, reduced income as a result of illness, then it is likely that your Trustee will have to apply for you to be made bankrupt. Can I finish the Trust Deed earlier than was originally agreed? If during the term of the Trust Deed you find yourself in receipt of a large sum of money then the Trustee may be able to accept this as payment to reduce the amount of your future monthly payments or in some cases to end the Trust Deed early. You will not automatically lose your home. Your home will be valued at the start of the Trust Deed and an amount of money equivalent to your share of the equity will have to be introduced into the Trust Deed but this is usually done at the end of the Trust Deed. This can be done by remortgaging, introducing third party funds or by extending the term of the Trust Deed and paying additional contributions. A Trust Deed does not affect the rights of secured creditors and you will need to pay your mortgage and secured loans during the period of the Trust Deed. Such essential payments will be provided for however, when calculating the amount of your monthly payments into the Trust Deed so this should not be a problem for you. What happens to my car when I sign a Trust Deed? You may keep your car if it is needed for work purposes or travel to and from your place of employment. If the car is subject to finance it is at the discretion of the finance company whether you can still use the vehicle or whether you have to return it. What happens at the end of the Trust Deed? Providing you comply with the terms of the Trust Deed then the Trustee will issue you with a letter of discharge which means that you are discharged from all of the debts that were included in the Trust Deed and your creditors are no longer able to pursue you for the money due to them. It sounds like I need a Trust Deed. What are the next steps?